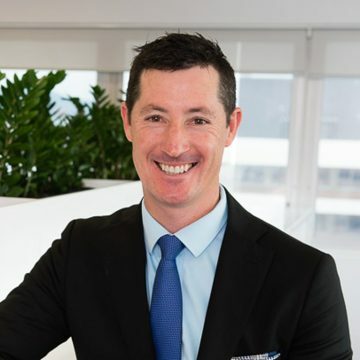 If employment trends are anything to go by, property market fundamentals have significantly improved in locations such as Bendigo, Logan, and Dubbo, while Mackay is on the mend, and conditions have weakened in parts of Sydney, Southern Highlands, Gippsland, Toowoomba, and Sunshine Coast. 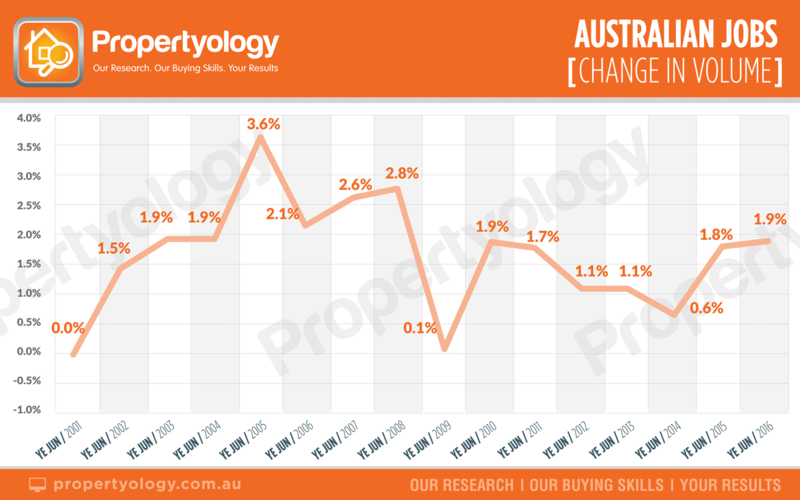 In some capitals and regional cities, changes in job volumes to the year ending June 2016 reveal some interesting results which might prove to be the reshaping of certain property markets over the next couple of years. In property market parlance, a city council (a community) is akin to a company on the stock exchange; an individual household within that community is akin to a ‘share’ in that community. At a base level, property is shelter. A sustained rise in the number of jobs leads to a rise in incomes in that community, improved community confidence, and increases in the community’s demand for shelter. 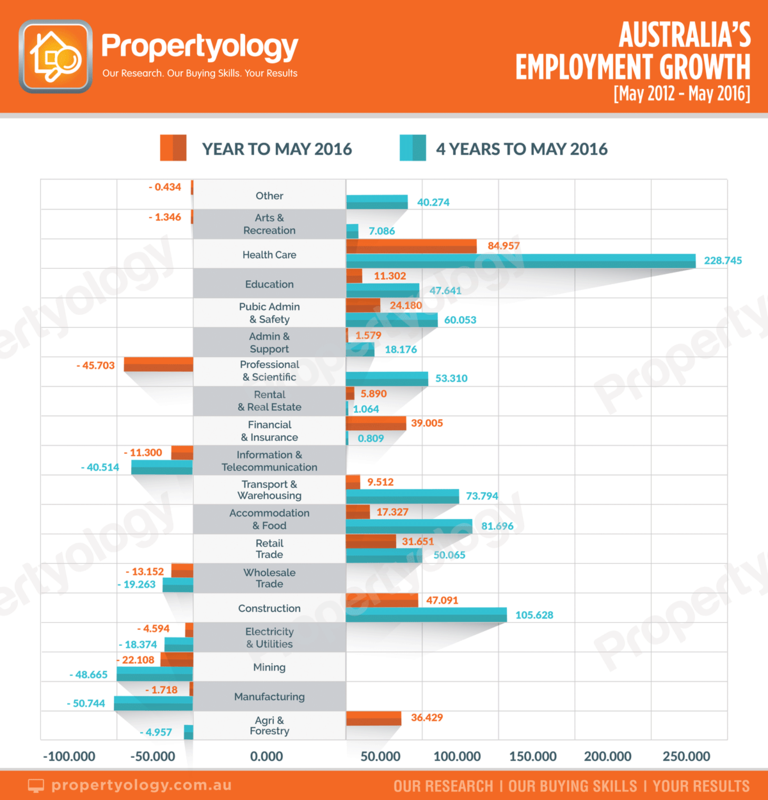 Employment trends can therefore be a precursor to property market trends. Personally, I find trends in real job data to be more useful than unemployment rates which have a tendency to be quite volatile, particularly at an individual city / regional level. In isolation, an above-average unemployment rate will not alert me to a progressive increase in jobs being created. An increase in jobs volumes may well be an important trigger for further investigation in to the longer-term credentials of a property market which may be about to commence its next growth cycle. At a national level, the 1.9 per cent increase in total jobs for the year ending June 2016 was Australia’s highest rate of employment growth since the 2010 stimulus package legacy. With a 3.4 per cent job increase, Victoria has taken the podium from New South Wales (2.6 per cent). South Australia (1.8 per cent) was a surprising third, followed by ACT (1.6 per cent). Continuing its underwhelming run, Queensland (0.6 per cent) was on the next line alongside Northern Territory, while Western Australia produced a 0.2 per cent reduction in jobs. After creating an encouraging 12,000 extra jobs during 2014 and 2015, Tasmania’s job market peaked in November 2015 and declined by 1.3 per cent to the year ending June 2016. While Greater-Sydney created 62,269 extra jobs over the last twelve months (a 2.5 per cent increase) the bulk of these were in the CBD, inner-south, south-west, and Sutherland. Interestingly, there was a significant reduction in total jobs in the eastern suburbs (15.7 per cent, or 9,926 jobs), inner south-west (10,665 jobs), outer-south-west (7,107 jobs), and northern beaches (5,619 jobs). 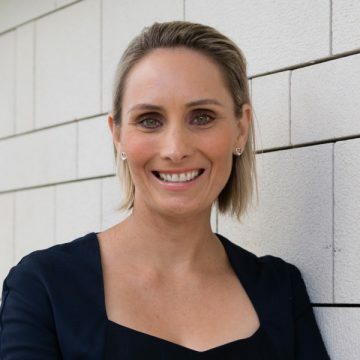 The biggest increases in jobs throughout New South Wales were in the lifestyle locations of Tweed-Byron Bay (8.8 per cent increase) and Central Coast 8.2 per cent). The diverse economies of Tamworth and Armidale (New England produced a 7 per cent increase in jobs) and Dubbo (Orana region, 6.8 per cent increase) continue to be strong. In Victoria, Greater-Bendigo has been a star performer, creating 9,961 extra jobs (a whopping 14.9 per cent increase). Greater-Geelong’s 18.2 per cent increase was also impressive however, it’s noted that this data is before the impact of the Ford car manufacturing plant closure filtering through the system. The Latrobe-Gippsland region shed 14,300 jobs (11 per cent) over the year. In Greater-Melbourne, where 84,432 extra jobs were created over the year, the biggest beneficiaries were in the north-west (18,033 jobs), inner-city (15,096), and north-east (13,082). Home to 9.9 per cent of Australia’s workforce and our third largest city, Greater-Brisbane’s economy continues to be uninspiring. For the year ending June 2016, the entire state only created 13,321 extra jobs (0.6 per cent increase). Closer analysis suggests that taxpayer-funded jobs are making an above-average contribution while much of the private sector continues to stagnate. After a lean last couple of years, the state’s biggest employment growth rate was in Logan-Beaudesert (up 13.7 per cent) followed by Darling Downs (10.4 per cent), and Mackay (6.5 per cent). The closure of Clive Palmer’s Queensland Nickel plant understandably affected Townsville’s 8.1 per cent job loss, while Toowoomba (-11.7 per cent), Sunshine Coast (-5.8 per cent), and Ipswich (-3.5 per cent) were curiously disappointing. South Australia was a real surprise packet. Retail, real estate, and public administration made the biggest contributions. Of the 14,156 extra jobs created across the state over the last twelve months, 10,089 were in Adelaide’s north. 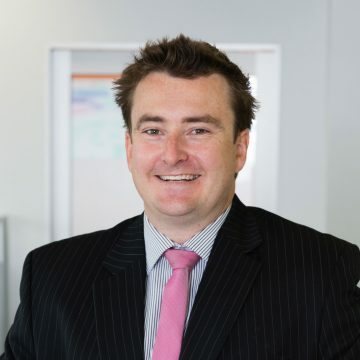 The 2,842 gross decline in jobs is indicative of the challenges still being faced in Western Australia, although there was an increase of 9,405 jobs in Perth’s north-west. As the mining sector transition from construction-phase to production draws towards an end, 14,386 construction industry jobs were lost in the state while 18,183 extra jobs were created in the mining sector. The professional and scientific sector (-11,543 jobs), health (-9,748), and education (-8,292) all lost jobs. According to the Australian Bureau of Statistics, as at May 2016 there were 11,974,815 jobs across the country. The country’s biggest employment sector is health (1.56 million people, or 13 per cent of our workforce), followed by retail (10.4 per cent), construction (9.1 per cent), professional and scientific services (8.1 per cent), education (7.9 per cent), and manufacturing (7.4 per cent). Australia’s health care sector created more jobs than any other sector last year (84,957) with 51,767 of these in Victoria and 28,972 in Queensland. The construction sector was the next biggest job creator (47,091 jobs), dominated by Victoria (25,396 jobs), New South Wales (22,806), and Queensland (17,144). Australia’s tourism industry continues to shine light on the economy – retail and accommodation combined to create approximately 49,000 extra jobs last year (26,000 in Western Australia and 16,000 in Victoria). I’d be very surprised if suit sales weren’t through the roof in Sydney due to 37,961 out of Australia’s 39,005 extra financial and insurance jobs created during the year ending May 2016 being in New South Wales. Australia-wide, the professional and scientific, and manufacturing sectors both produced significant job losses (45,703 and 22,108 respectively) with Queensland accounting for 40,397 of these. The exciting story which is unfolding across Australia is the agriculture sector. 36,429 extra agriculture jobs were created to the year ending May 2016. The improvement which this industry is now experiencing was anticipated by Propertyology a couple of years ago and it is one economic driver which supports a few locations that we are still investing in today. Remember, wherever there is demand for more jobs there is demand for more shelter! Sign Up For More Great Insights! If other, where did you hear about us?